This practice is designed to help improve your flexibility and also condition your hip. Lots of chair pose to help strengthen and stabilize the hip, as well as warriors to help open the anterior hip and groin area. A level one practice, perfect for beginners. 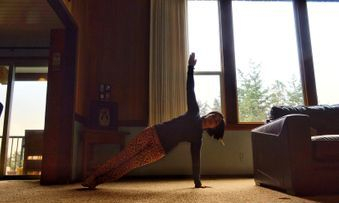 No Chaturanga / Push Up but still flow like a vinyasa with Cat and Cow. Drop a feedback and comment below. The wise see suffering in all experience, whether from the anguish of impermanence or from latent impressions laden with suffering or from incessant conflict as the fundamental qualities of nature vie for ascendancy. I love my morning coffee. Undoubtedly, it is the first thing I look for when I got up from bed. Without coffee, I know I will feel sluggish and not awake. Or I may think that I know that is how I feel, or maybe that is just my attachment of Coffee that reflects how I feel if I did not feed it. Would I actually feel sluggish and lethargy if I did not start my coffee in the morning? Am I fully attached to coffee to where I am actually create those feeling? And I fear that if I did not have my coffee in the morning I will be cranky and everything wouldn’t feel right. I certainly dislike to have that problem of being cranky if I missed my morning coffee. Attachment is a result of pleasurable experience. What coffee does to make my body attached to it; the smell, the flavor, and what it feels after you drink it?It’s all the above. It is something pleasurable that I experience from it that I become attached to it. Attachment is one of the Affliction (Klesha), aside from Ego, Illusion, Aversion and Fear (Sutra 2.3). All is associated with other and one is interdependently connected to another. 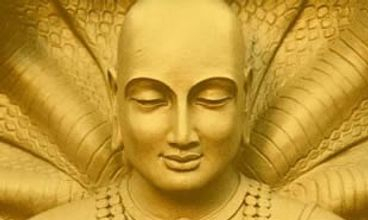 And all of these create sufferings mentally and physically (Sutra 2.2). Suffering came from habits that are form over experiences that makes us feel good. Thus this feeling good is what we are attached to, but not necessarily make us happy. And when we don’t feel good, then we suffer. We create our own sufferings. Not others. Our attachment is something that is impermanent. When we’re attached to something, sometimes we want it to be permanent . We want to constantly feel the same thing each time we visit the experience (Ego). And once it was not something that of the ordinary then we become angry, disappointed, or hurt (Aversion). Now we’re attached to that too. We developed something in our mind that is now we call ‘Fear’ that next time it would happen again, then we would feel disappointed with it. So we created barrier in our experience (Fear) that we did not want to have this experience happening again. Then we become worry every time we repeat the experience, that we wouldn’t have the same experience as it used to. This is our mind (illusion) play trick in our mind, resonating from last experience, which happens only once. From this, we create patterns in our mind from the experience, over and over again. With certain experience and the pleasurable feelings we have about it, we want it to be permanent. Overtime, this will turn into sufferings. When we're holding patterns of thoughts and emotions permanently, we're holding tensions within our body. Such when we have our worries, the body starts to create barrier to hold that tension of disappoinment and worries altogether. It starts to affect your nervous system, especially your breath which later on developing into anxiety to where now it is a full suffering. Suffering is avoidable when we break the pattern and not make it into a habit. To find the ability to avoid suffering itself is hard. First, we need to break a habit by not making it a habit, such that we do not get attached to certain feeling or experience itself. Then, having the ability to let go any thoughts and feelings that attached to the habit. Sitting in meditation, often helps to allow your mind to settle the thoughts by allowing the mind to flow until you completely disperse. Listening to soothing music or any favorite music and be in tune with the melody or lyric is another type of meditation to shift your mind away from the pattern of habits and thoughts. 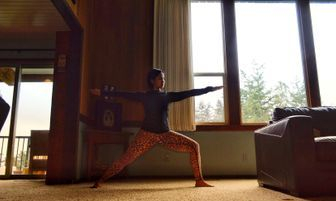 Take a five minutes yoga stretches or any small movement to allow the body to take over the mind and loosen yourself in a way that shifts your mind away from it. If you think developing a new habit will take away old habit will change the pattern, you are only kidding yourself. Try not to make any new habit and just live in the moment to enjoy each and every minute of it with contentment. Learning to take control of the pattern and coordinate mind and body to where you are able to let go of attachement / tension by taking step forward. Afterall, this is what Patanjali is trying to establish in his scripture is by letting ourself go to every moment of your life, so you can be free and not be attached to each moment. Back to my coffee attachment story. One time, there was no coffee in the house, not even a scoop. So, I went to work without any coffee (I didn’t even stop by at any coffee shop). I taught a class without any coffee and it went just fine. My students didn’t notice or say if there’s anything wrong with me at all despite that I didn’t have coffee that morning. My body did not even notice if it didn’t have any coffee in the system throughout the day. Until I realized something went missing later on that early evening. I saw the coffee machine and immediately remembered that I didn’t have any this morning. Then, I opened the kitchen cupboard where the coffee was and there it was, an empty coffee can. Alas! It was great experience to have missed the morning coffee, until I opened the kitchen cupboard. Birds of Paradise or Svarga Dvidasana in Sanskrit is a deep hip opening that requires balance, flexibility and strength altogether. Svarga means Paradise and Dvida translates twice born. Now physically this pose is not close to any bird at all, in fact it is a pose that resembles of a plant that is called Bird of Paradise. Through literal translation which means Twice born in Paradise, a bird itself is one of the animal that is born twice; first in the shape of an egg, and as it hatches, second born to a chic. When you look at the two different beings that is being compare here, an animal and a plant, the resemblance of it is that the name itself. The plant is a flower that is originated in South Africa. The flower itself has the true shape of a bird’s head. To compare with this, imagine Woody the woodpecker. However, the plant itself is also comparable to a bird species that is also called Bird-of-Paradise, which is originated in the eastern Indonesia (my birth country), Papua New Guinea and Australia. When we compare the shape of the flower of Bird of Paradise and the asana itself, it carries the resemblance of the way the flower blooms. One balancing leg is the stem of the flower, while the flower itself is parts of the other leg bound with our body. Hence, the shape of the pose embodies plants, where the stem holds the strand of petals. The plants itself takes time to grow. It wasn’t something that grows over seasons or months. The least time it takes to grow is two years. They will thrive in rich sandy soil, especially when they get plenty of water throughout the year. Take it back into Asana, the same thing with the growth of our physical practice. To be able to reach the peak, a practitioner must cultivate patience and discipline to be able to grow and take the full pose. That is why this pose is not suitable for those who just started the journey of yoga asana. However, there are poses that take the shape of Birds of Paradise, which helps build the strength and flexibility. Triangle or Trikonasa is one of the basic pose that builds up strength of the legs as well as the flexibility of the adductors. 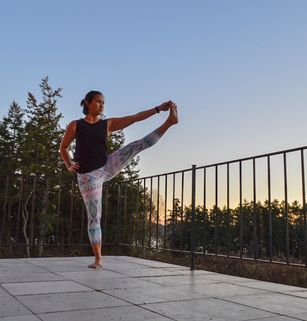 Standing Hand to Toe Balance or Uthita Hasta Padaghustasana, is another one that helps to create strength and balance, as well as flexibility. It is literally Triangle on one leg. 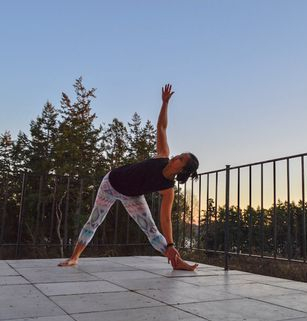 To get a full bind of the arms over the leg, Side angle Pose or Parsvakonasana is an easier approach before the Bound Triangle. Bound Triangle itself, is an intermediate approach to Birds Of Paradise with both feet down. Now if you tip the Bound triangle and stand with one leg, then you have Birds of Paradise. 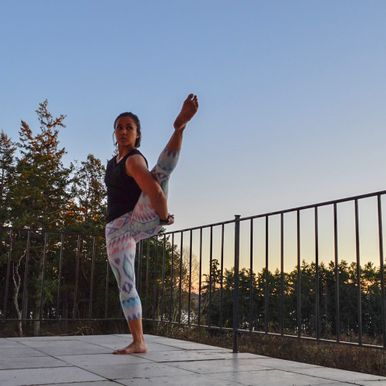 Practice Trikonasana (Triangle), Parsvakonasana (Side Angle) and Uthita Hasta Padaghustasana (Standing Hand to Toe Balance) as often as you can to be able to grow into your Birds of Paradise. Plant the seeds of patience and discipline, such that you can bloom into a beautiful Paradise flower. A basic hip strengthener and opening to prepare the adductor muscle to help open the hip.⠀Start with right leg in front of the mat, align your left foot with the right heel. Bend the front knee about 90 degree angle. Spread the legs through the inner thigh, and spread the arm open to the side but soften the shoulder. Engage the glutes to help the adductor muscles to stretch more in the stand. A side body stretch accompanied with hip strengthening and opening to help take shape further. If you look at it, you are already in Visvamitrasana without a bind and straight leg. The side bends help the extension of the arm later on to find grip of the extended leg. From Warrior 2, lengthen the body towards the front leg and land hand either on the inside or outside. Turn the top ribs up to keep the side body opens and lengthens. The extended arms over the head, reaches further to stretch the lats. The binds allow the shoulder to open and helps with the upper body rotation, as well as deepening the hip. This shape help the arm to carry the leg and support it. From Side angle, wrap the shoulder closer towards the inner thigh and knee. Draw Scapula together to help bind the arm, but soften through the Traps. Lean the spine towards the inner thigh to help deepen the hip opening. 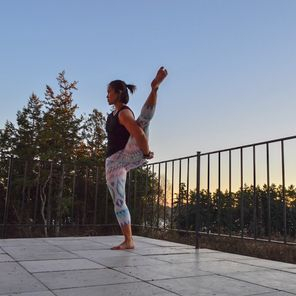 Helps to open the hamstrings as well as stretching the abductors and QL to help stabilize the hip that will help to bring that awareness in Visvamitrasana. From Warrior 2, extend the front leg, hinging the hip back to lengthen side bodies. Land the arm on shin bone or floor, and reach the other arm up to the sky-aligning the arms with shoulders. Press with back leg to help lengthen the chest to the front leg. This pose strengthens the arm to help support the leg in the final expression of Visvamitrasana . Start from plank then lean to right side, stacking shoulders, hip, legs and feet. Work on pressing the lower palms down to the floor to help lift the hip. Legs are active by squeezing the thigh together. The abdomen helps to stabilize the hip and spine. Top arm reaches up high to lessen the weight on the bottom hand. This pose stretches the side body as well as lats. Not only that, it stretches the adductors and abductors simultaneously. 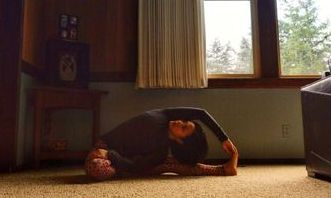 This pose initially the shape of Visvamitrasana on the ground. Take a seated tree pose start with the right knee bend and left leg extended. Rotate the chest towards the bent knee, place left arm on right knee, then extend right arm up. Lengthen through each side bodies, then lean towards the left leg, keeping the torso turn sideways. Sometimes with thight Lats and side body the arm will not touch the left foot or toe and that is perfectly fine. This shape itself has already emulate the embodiment of Visvamitrasana. In this short practice, there will be less verbal cue, straight forward to the point and continuous flow to get the blood going. A detox flow to wring toxin out of your system, a perfect practice for yogis on the go! This is a ladder practice of Sun Salutation or Surya Namaskara. Starting with Half and adding on each time to keep the body and blood flow going. A great practice for those who just started yoga as well as novice practitioner. Comments and Feedbacks are welcome. Just got out of bed and want to start the body going? 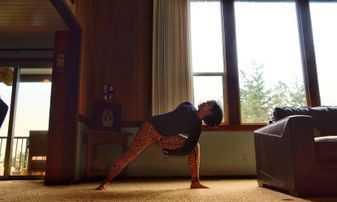 Unroll your mat and join me for a morning gentle yoga practice, perhaps still wearing your pajamas. This practice includes core and shoulder strengthening, backbends and hip opening, a well rounded practice to get your body going. 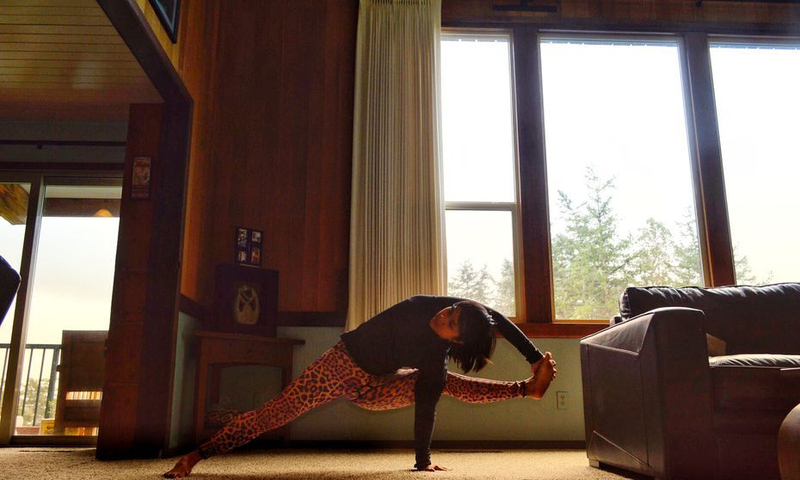 No equipments or props, just you and your mat, and full intention to start the day right. This is an all level practice for everyone and every body. For those who just started yoga, this suits well for beginners. This short practice aims to strengthen the body as well as to energize. It is a perfect short practice in the morning, to awaken the major muscles of the body. The sequence includes, standing, arm strengthening, backbend and seated poses, a well rounded practice for yogis on the go. This is an all level class for beginner to intermediate. Please drop comments below for feedback and question. Enjoy the practice! The neck is the gateway to the mind and body. When our neck becomes tense, this will disrupt the flow of energy between mind and body. We may not realize that some of the tension are carried unintentionally throughout our daily life. Headaches and migraine are common amongst us. As the connector between the skull and the spine, neck muscles can get tense and can cause headaches and migraine. Neck itself is not the only culprit of these problems, our shoulders and spine alignment can also be part of it as well. As the gateway between mind and body, it is important to bring awareness of space to our neck. This practice is a great way to bring space to the neck and shoulder area. Before getting into the practice here is a reference of muscles and their functions anatomically. This muscle is also known for short as SCM. It runs from Clavicle to the base of the skull. SCM is a superficial muscle. Its function is to help support the rotation, extension and flexion, and also lateral flexion of the neck. SCM works together with Scalene in supporting the respiration process. Scalene originates from the mastoid ( the base of the skull) to the Clavicular. There are three parts muscles of SCALENE. First one is Anterior part, and its function is to aid in rotation, flexion and lateral flexion. Second to Anterior is Middle part, its function is similar to Anterior, except it helps rotation from the bottom of the neck. The last part is Posterior, and its function is to assist flexion of the spinal column. This last one does not contribute in respiration process. When chin is up, Posterior muscles helps the extension of the cervical. This muscle is positioned at the back of the neck. Levator Scapulae connects the head to the top of the Scapulae. Its functions are to assist elevation of shoulders, flexion and extension of the cervical, and also lateral flexion of the cervical. When compressed, this muscles coming creates tension around the neck. Splenius is located at the back of the neck. It connects the base of the skull to the upper part of the mid spine. 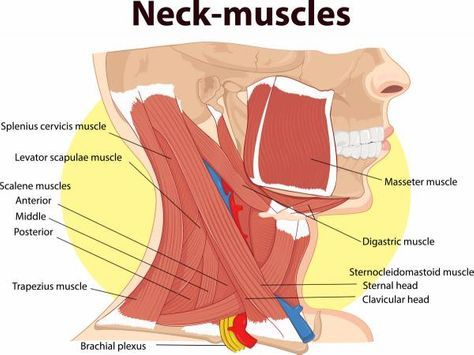 This muscle supports the neck in keeping the head upright. Its functions is to assist in rotation, flexion/extension as well as lateral bends. Splenius often time contribute in headaches and migraines. Trapezius is a wide and big muscles across the back of the spine. It is located at the bottom part of Cervical to the lower part of Thoracic (mid spine). Its functions are to assist stabilizing, rotating and moving the Scapulae, as well as supporting in extension of the neck. This muscle is also common for neck pain that started across the top of the shoulder to the base of the neck. When the shoulders elevates without other supporting muscles to stabilize, there is a chance the muscles of the neck can get injured. These poses are my favorite Yin stretches to bring space around the neck. Having a sturdy block also helps to create compression on the pressure points around the neck, in order to release muscular tension. With this practice, try to close and relax the eyes so you can bring more awareness to what is going on with the body. This practice is best done in the morning to invigorate your day or at the end of the day to release tension. Start the practice with seated meditation for around 5 minutes to bring the awareness to the breath. Let the body face the bent knee. One hand next to the hip pressing onto the floor, other hand wrap the knee on the bent leg. Turn the head towards the shoulder of hand that is on the ground. Keep all side of neck on the same length. Keep spine lifted and top of head lengthen up. Collarbones stays open. This pose stretches the upper Traps, Sternocleidomastoid and Scalene. Wrap the hand of the bent leg behind, start leaning towards the straight leg while keeping the body facing to the side (bent knee). Turn the head down facing the floor and let it heavy. This pose stretches Sternocleidomastoid, Splenius, Levator Scapulae and also Trapezius. Depending on the hip, choose one that feels right on the seated position. If you are in Gomukhasana, lean to the opposite side of the leg that is being pinned down, . Drop the ear to the side where the body is leaned but keep the space between shoulder and ear. Reach one free arm up then lower it to shoulder height. Keep arm reaching to the side, then lower it half way down. Keep head heavy towards the leaned body. This is a great stretch for the Trapezius, Sternocleidomastoid and Splenius. Place block on a medium height right across the hairline behind head. Turn head to the right, then turn up 25% to hold around 1 minute. Gradually turn again 25% to hold another minute. Last turn another 25% for the last one minute. This block practice helps compress the trigger points of the Splenius, in order to release blockage on the connective tissue of the neck. Most of the poses are held for 3-5 minutes, depending on yogi needs on finding space. I sometimes hold one side longer when I feel tightness on that particular one. Being flexible is what most people expect in becoming when they are in a yoga class. However, yoga is not about being flexible where you can twist and bend like a contortionist or gymnast. Yoga offers more than being flexible. It has lots of benefits more than we know. 1. Flexible means going to the full range of motion in every pose. Flexibility will improve if we often move our muscles, bones and joints. Yoga stretches the tight muscles as we progress from poses to poses. The lengthening of the muscles will extend our range of movement to the max. Gradually, the tight muscle will be loosened when we practice more yoga and our body will become more flexible. However to maintain flexibility itself, muscles need conditioning. Too much stretching will decrease strength of the muscle. To stay flexibile and to be able feeling the sensation as we stretch, muscles need flexion as much as extention. Shortening the muscles with repetition, will allow the stretch to go deeper. Balance is the key to flexibility. 2. Yoga will also strengthen the bones. The stronger our muscles become, the stronger the bones will be and the lesser chances diseases like arthritis and Osteoporosis. Strength builds up through muscles to help fortify bones. The muscles surround the bones, help fortify bones itself as we hold poses. It will also keeps us away from having back pain or sciatica, and certainly will help our with our posture. With regular practice, yoga can correct or ail scoliosis and other spinal problems. 3. Yoga is also good for our joints and connective tissues. Most athletes often get injured in these areas. 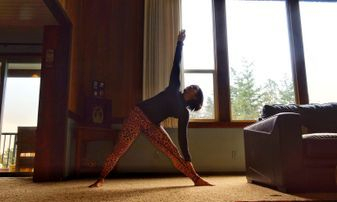 Through proper stretches as in yoga, joints get nutrients in each movements. Joints also crave for movement to recycle the fluid inside the cartilage. More often the joints are being moved, the less chance it develops degenerative arthritis. Connective tissue is based on liquid mater, the more we move, stretch or contract our muscles, the more we liquid it produces to regenerate new cells. Yoga practice like Yin, will help to lengthen the joints and ligaments as well as connective tissue. 4. Yoga circulates the flow of blood in the body. Not just blood, but also the lymphatic system. Every time we move in each yoga poses, bloods circulate through the targeted areas. The flow oxygen in blood also get circulated through the integrating of breath and movement. This will decrease the chance of getting a heart attack and stroke. As we regularly move through poses, yoga can also get the heart rate going. Some vigorous yoga will level up the heart rate, while gentle yoga conditions the heart. 5. Yoga is good for the immune system. By increasing the metabolism in the body, we boost the immune system. With lots of movement in the body and how the blood and oxygen circulate through the body, metabolism will increase automatically. Movement and muscle contractions help the regulation of the lymphatic system. Lymphatic system helps rid or flush toxins from body, which in return enhance our immune system. A regular yoga practice will increase the metabolism rate and boost the immune system. 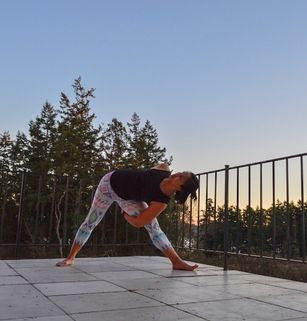 As we move through the poses by stretching and contracting the muscles, the body will increase the drainage of lymph fluid, that usually absorb infections and diseases, and helps to waste the toxin in the body. 6. 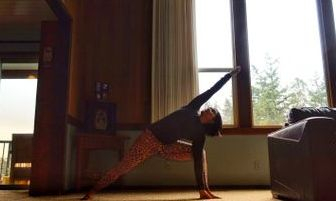 Yoga helps fight stress and depression. With breath and being presence in yoga practice, it helps to alter the sympathetic nervous system (fight or flight response) into parasympathetic nervous system which calms the body down. Practices like meditation and Pranayama (breath control practice), helps reduce stress and tensions. By managing to stay focus in present, we develop mental awareness, mental clarity and insight. 7. Yoga is good for digestive system, respiratory systems and endocrine systems. Back to the lymphatic system, yoga helps rinsing toxins in the organ. Through wasting the toxin out of the body, we automatically increase the work on our digestive systems. By breathing calmly and staying focus on the breath work will increase the capacity of our respiratory systems. Yoga helps to improve the immune level in the body and assist the regulation of hormonal system. There are numerous benefits we can find in yoga, in which you can find this out as soon as you start practicing. Stop looking at the result of the benefit, but experience it, so you can sow what you reap. Let the body and mind tell you what is good for your body and keep your yoga practice regular to maintain the benefits.